Easy to install custom bedroom ceilings. 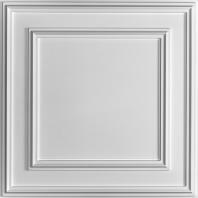 We used Ceilume Tiles as an insert to coffered ceilings in two rooms. The Ceilume Tiles were rigid and easy to work with. With a large selection to choose from, it was simple to find a style that matched the look of the home. I would not hesitate to use Ceilume Tiles for any upcoming projects we have. The client was very satisfied with the finished product.